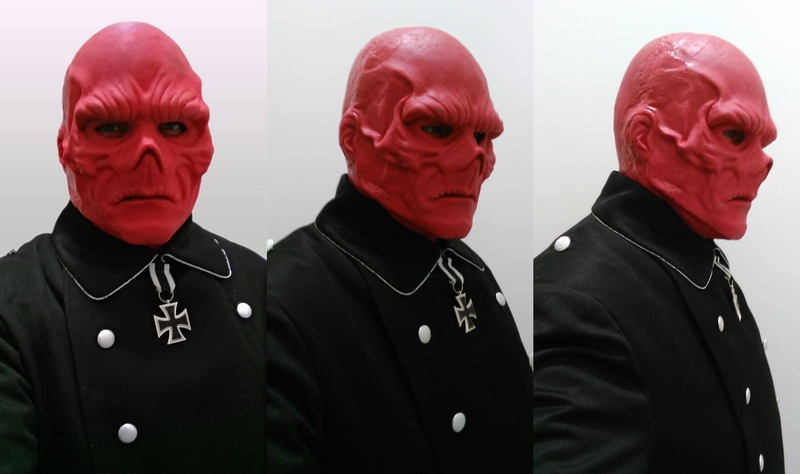 Hello I want to share some of the progress of a silicone mask I'm making based on the character Red Skull, I hope you like it. How do you like Monster Clay? I've been using Chavant for years but recently purchased a bunch of Monster Clay for my next sculpting project. Looking forward to trying it out. I love it, but I started with it and have'nt tried any other medium, so I can not compare it with anything else, but I can say that I have no complaints about it. Go on and try it, and you can give me some input and compare it to chavant. ok, here's the silicone cast, just have to fix some seams and small details and it'll be ready. Nice! 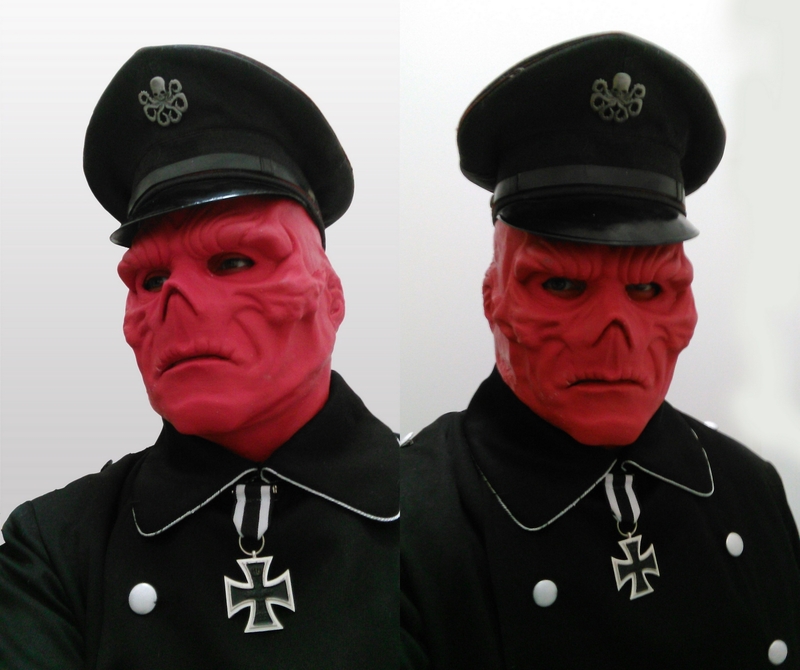 Looks like it turned out great. Have you tried it on yet? Looks great! Is that a mosher head former? Hi, how you make the mold and place the silicone? the mold to not make air bubbles and not leave any marks? Hello! 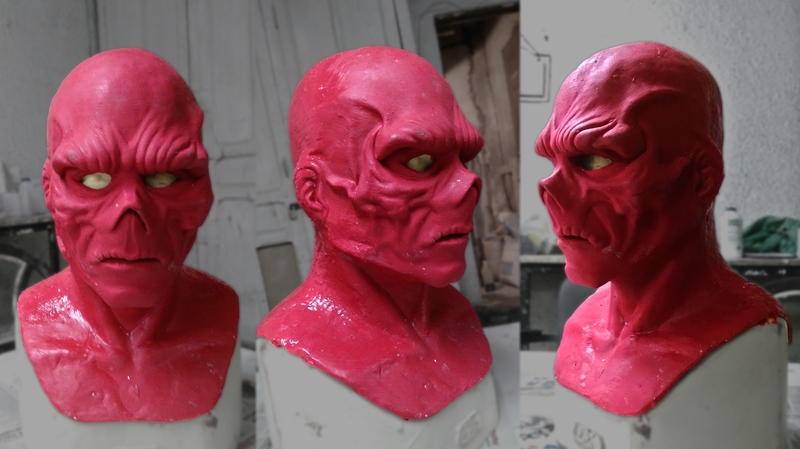 sorry for the late response, I had the same dilema while pouring this one, at the end I made two, one gravity poured, and the other with the mold open I painted the silicone on both faces of the mold, then closed the mold and closed the seams. There will be always some marks and things to fix and repair. Thank you David, it means a lot!